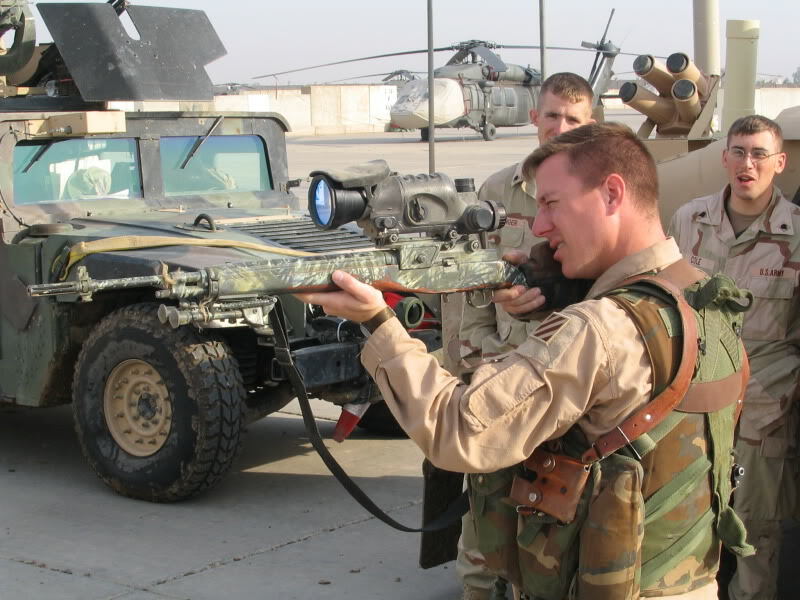 Here is a chopper pilot playing around with someone else's M14 with a PVS-10, Really shows the scale of this thing. Edited by BigMoose, 02 January 2015 - 11:12 PM. Very nice picture, that is an interesting shot, look at the day/night selector, it's in the night position with the lens cap up. Someone is asking for a dead I2 tube. Today, while doing some tear-down maintenance and cleaning, I took the objective lens off the M2 Sniperscope. In doing so, I took the IR filter out to find the reticle etched on it. The reticle is a floating chevron as shown in the picture, question answered.